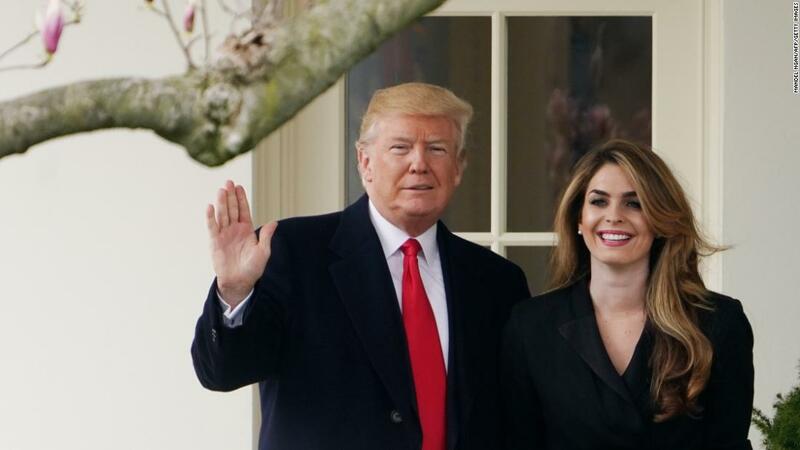 First, as White House Director of Strategic Communications, a position created especially for her, and then as White House Communications Director, Hope Hicks had quite a ride in the President Donald Trump’s White House before she resigned in March 2018. Why did she resign? This has been the question on the lips of many who are watching the American politics unfold. Having begun as a model and then as a public relations consultant, Hicks rose to become one of the most powerful citizens in the United States of America in just two and half years. Read on to learn more about the PR expert. Born Hope Charlotte Hicks on the 21st of October 1988 in Greenwich, Connecticut, Hicks is the daughter of Paul Burton Hicks III and Caye Ann Cavender. Her father, Paul was executive vice president (communications) for the National Football League (NFL) between 2010 and 2015. He was also the Cheif Executive Officer of Ogilvy Public Relations Worldwide before receiving another appointment to head the Glover Park Group. She has one sibling, an older sister, Mary Grace. Hope Hicks had her high school education at Greenwich High School where she was part of the lacrosse team after enrolling in 2002. She graduated in 2006 and the proceeded to study English at the Southern Methodist University in Dallas, Texas. She also participated in lacrosse in college as well before she graduated in 2010. Although Hope Hicks is known today as a public relations consultant, a career which brought her to the top echelon of American politics, it would be unfair not to acknowledge the fact that she began with a career in showbiz. Hicks’ first career choice was to become a model and she made efforts toward achieving that in her teenage years when in 2002 she was featured in Greenwich magazine. She was also the face of Barbara Robertson’s “Hourglass Adventures” novels. In 2005, Hope Hicks appeared as the cover model for the first edition of Cecily von Ziegesar’s novel series. Her career in public relation began after she met Alec Baldwin in 2011 when she went with her father to a Super Bowl event. Baldwin was a client of Matthew Hiltzik who was a public relations expert and Chairman of Hiltzik Strategies. Some accounts say she actually met Matthew Hiltzik himself but whatever the case the encounter meant she would end up moving to Hiltzik Strategies from Zeno Group. It was while on her new job with Hiltzik Strategies that she met Ivanka Trump, first daughter of then-US billionaire Donald Trump. Her assignment at Hiltzik Strategies, among other things, was to promote Ivanka’s fashion line – Ivanka Trump Collection. Soon enough, precisely in August 2014, Hope Hicks moved from Hiltzik Strategies and began working at the Trump Organization – for Ivanka Trump and a few months on, she began working for Donald Trump himself. Upon deciding to run for the office of the US President in 2015, Donald Trump handpicked Hope Hicks as press secretary for his presidential campaign despite the fact that she had no political résumé. She would then leave the Trump Organization to work on Trump’s campaign trail. Her job as press secretary included granting (or restricting) access to Trump and handling inquiries from the press. After winning the 2016 US presidential elections, she was given a role in the Trump administration as the White House Director of Strategic Communications. She became interim White House Communications Director in August 2017 after Anthony Scaramucci resigned even before she was sworn in. Her appointment was made permanent on September 12, 2017. However, despite being one of Trump’s die-hard loyalists, she resigned from the position in March 2018 after becoming a target of inquiries about the dealings in the White House under the Trump administration. Hick was even held for questioning in a congressional testimony where she admitted to telling “white lies” on behalf of the presidency. While working in the White House, Hope Hicks ranked among the highest paid White House staffers. She is currently estimated to be worth $200,000, an amount that she amassed while she was active with the present administration – from Trump’s campaign trail to her White House job. As press secretary on the Donald Trump campaign, Hope Hicks earned a salary of $141,417 which was more than what she earned from the Trump Organization ($71,689). Furthermore, as White House Communications Director, her take-home pay package was among the highest in the White House. Hope Hicks earned $179,700. Who is Hope Hicks’ Husband or Boyfriend? Hope Hicks is a single woman and is yet to be married. Before she began working with Donald Trump on his campaign, she was in a relationship with an unnamed man which had been on for six years. However, her job on the Trump’s team en route to winning the US Presidential elections in 2016 put a strain on the relationship and it ended. During her time in the White House, she had a public profile which comes with it a considerable amount of media scrutiny. She was said to have been in an adulterous relationship with Donald Trump’s first campaign manager Corey Lewandowski as the latter was still married at the time of their affair. That was followed by another affair with former White House Staff Secretary, Rob Porter. Since leaving the White House, Hicks has not been involved in any relationship that is official. She has kept her dealings very private as she struggles to deal with life outside the White House but still much under the spotlight. Hope Hicks’ appointment as White House Communications Director at the age of 28 made her the youngest person to ever hold such position in White House history. Her job on President Trump’s campaign was her first ever exposure to politics. Although her job with Donald Trump was her first political job, it was not the first political job in her family. Her mother, Ann Cavender, served as assistant to Tennessee congressman, Ed Jones. Hicks is 5 feet 8 inches (173 cm) tall, has hazel blue eyes and dark brown hair. She has had a stint with acting. Hope Hicks made a guest appearance in the long-running TV series Guiding Light.